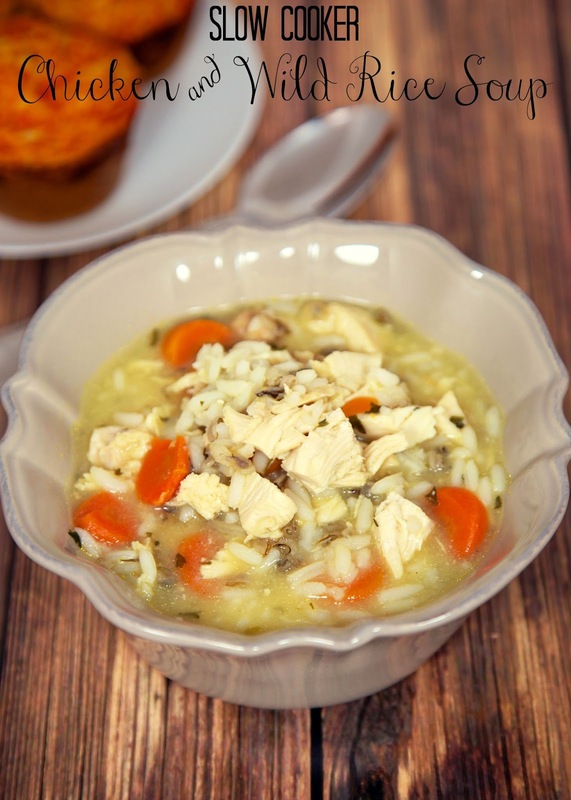 Chicken and Wild Rice Soup Recipe made in the slow cooker - chicken, carrots, long grain and wild rice, and chicken broth - cooks all day in the slow cooker. Tastes great. Freezes well too! We are addicted to this Slow Cooker Chicken and Wild Rice Soup! We've made it several times over the past few weeks. We just can't get enough of it. It is SO good and super easy to make. Just dump everything in the crock-pot and it is ready in 6-8 hours. Easy peasy! We like to eat this for dinner and reheat the leftovers for lunch the rest of the week. You can also freeze the leftovers for later. 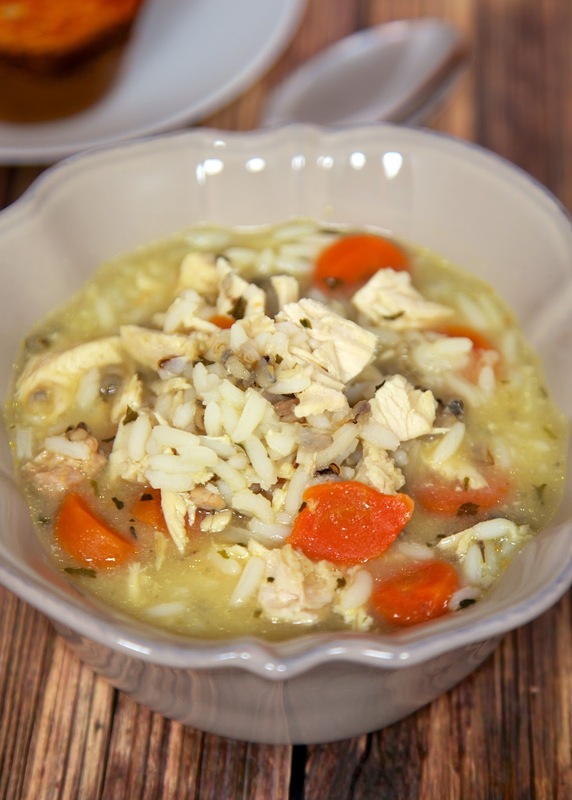 This Slow Cooker Chicken and Wild Rice Soup uses a box of Uncle Ben's Long Grain and Wild Rice. Make sure to grab the "Original Recipe" box. Also, don't forget to add the seasoning packet from the rice to the soup mixture. It gives the soup its flavor. Place all ingredients into 6-qt slow cooker and stir to combine. Make sure to put the rice seasoning packet in there too. Cook on LOW for 6-8 hours. I make this all the time but also add in some celery and onions. If you can't find Uncle Ben's Near East also has one that works well. Do you take the chicken out and shred it at the end? Looks delicious!